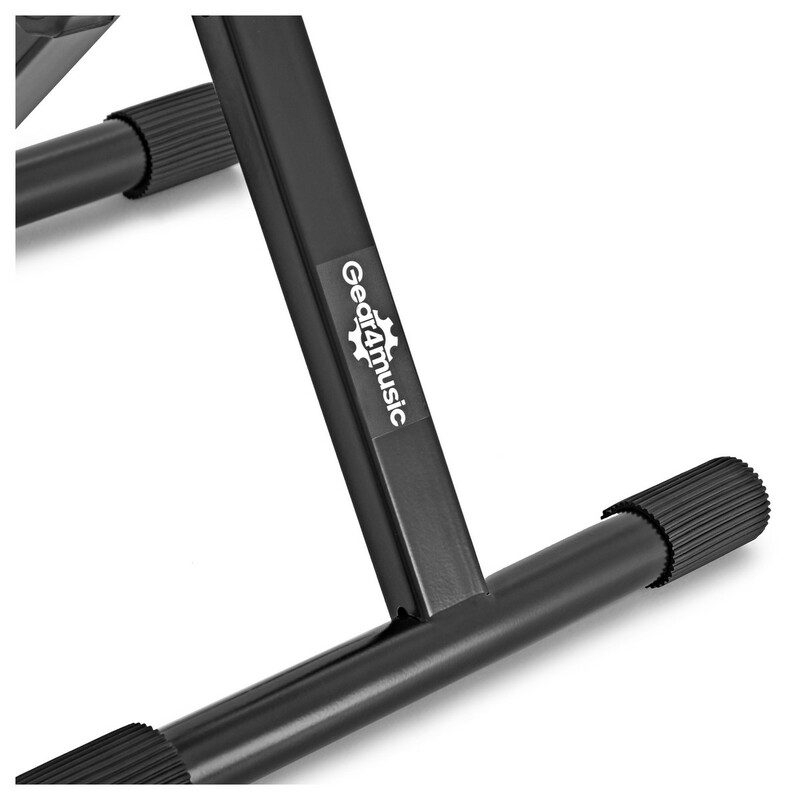 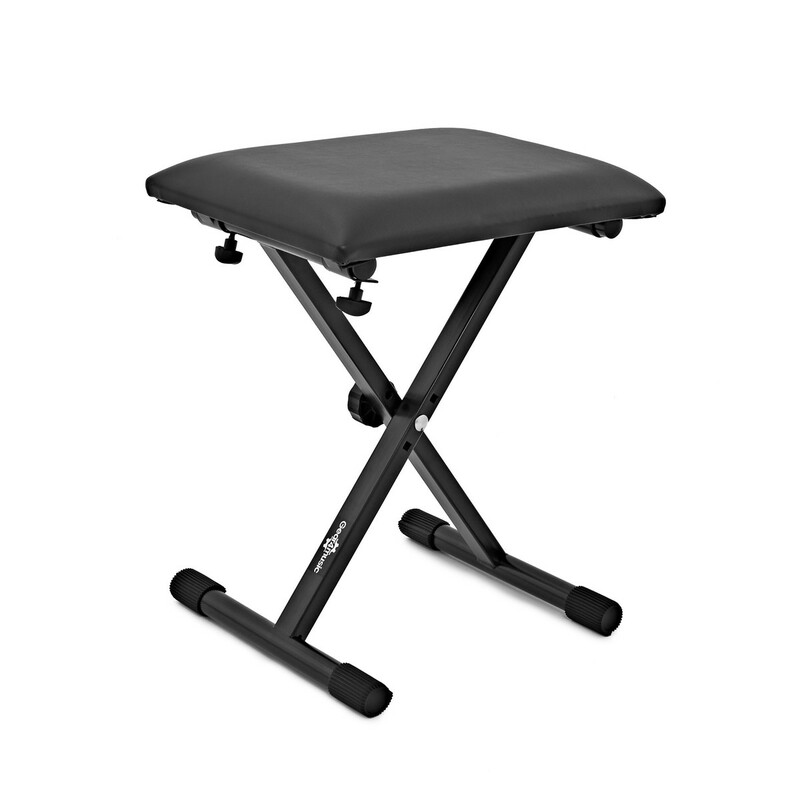 This Adjustable Keyboard Bench by Gear4music in a black finish, provides comfort and stability whilst you play. 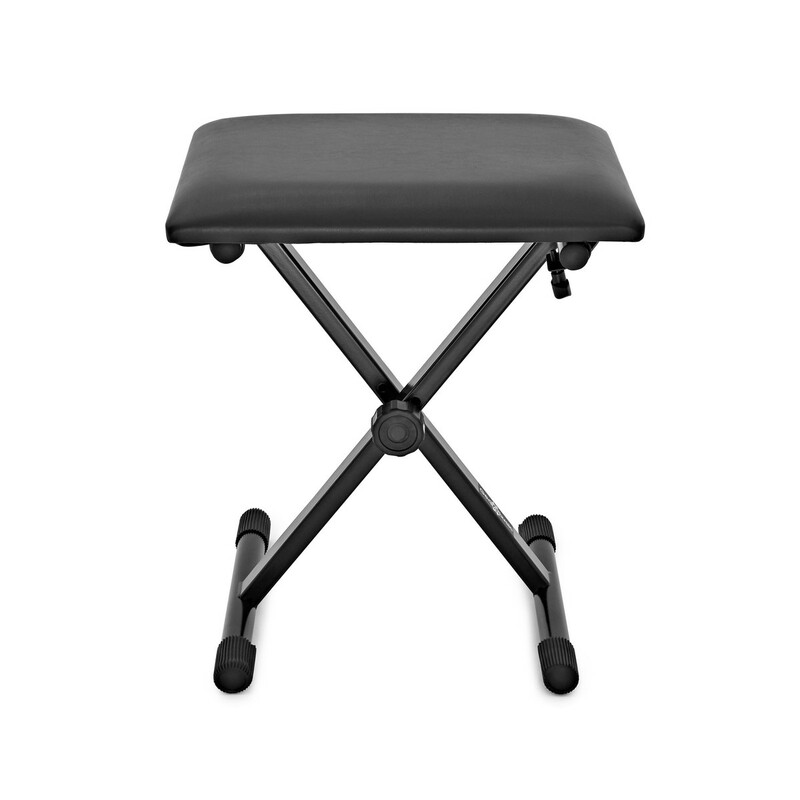 The bench folds flat for storage and is height adjustable between 43 and 48cm, making it suitable for players of all sizes. 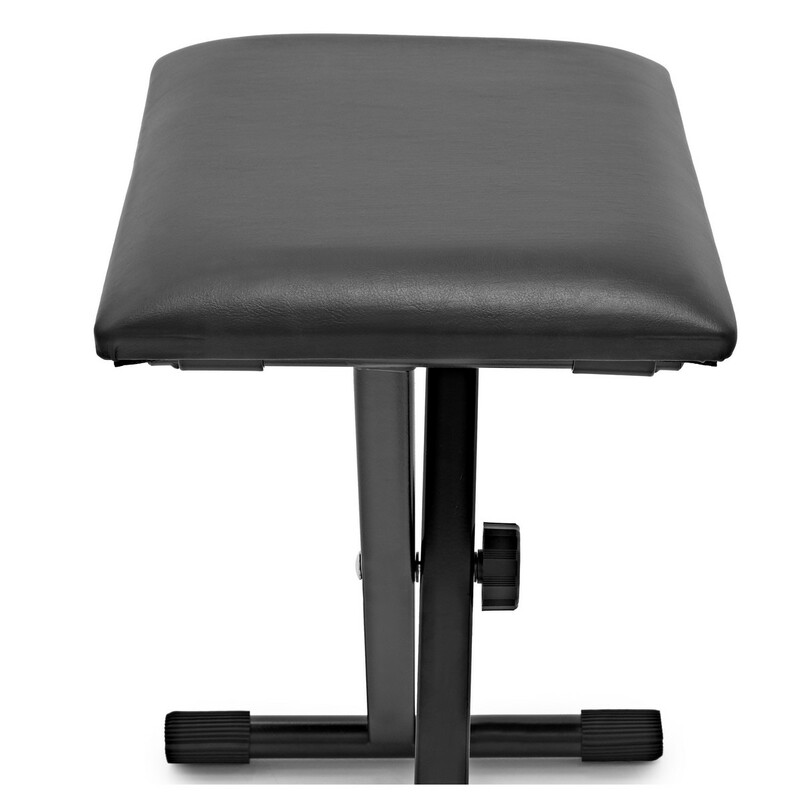 A soft, black comfortable top is held by two X-design sturdy legs. 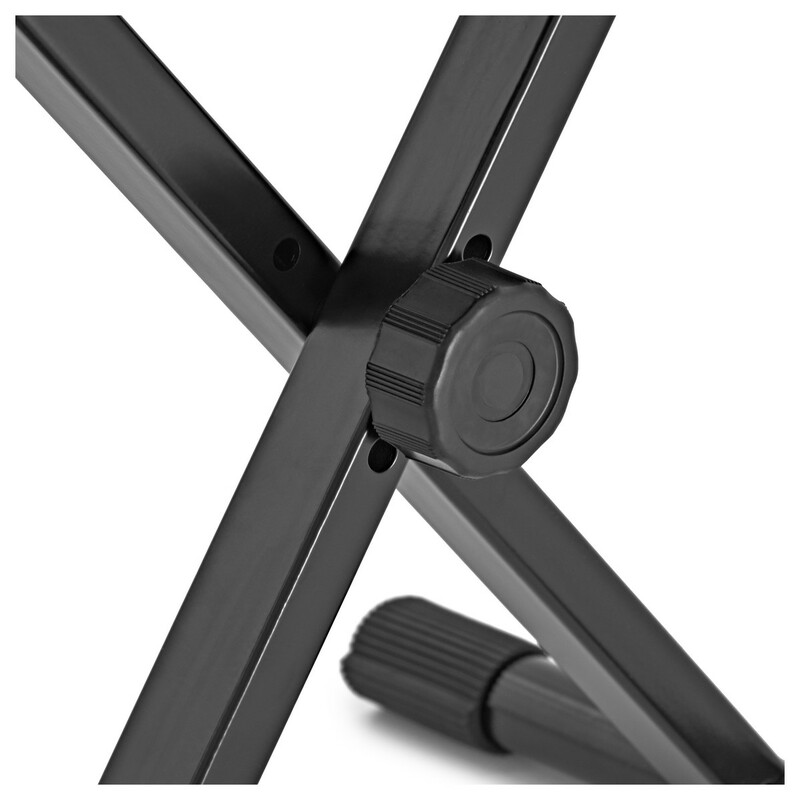 Protective rubber foot ends prevent slipping and protect your floor's surface.